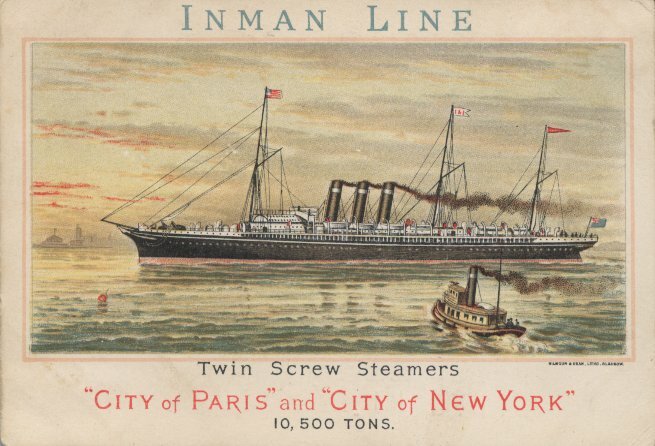 The last major transatlantic liner with a clipper bow, and the last liner built for the famed Inman Line, City of Paris was built by J.& G. Thomson of Glasgow, and was launched in October 1888. Like her sister, City of New York, she originally carried three stacks, triple expansion engines and three masts rigged for sails. 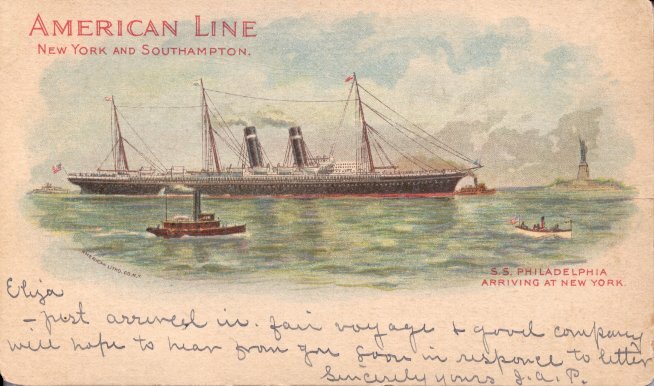 She made her maiden voyage on 3 April 1889, from Liverpool to New York, and a month later earned her first two Blue Ribands with record crossings on both legs of a Liverpool-New York roundtrip. (She would later set three more westbound records, in August of 1889 and July and October of 1892. 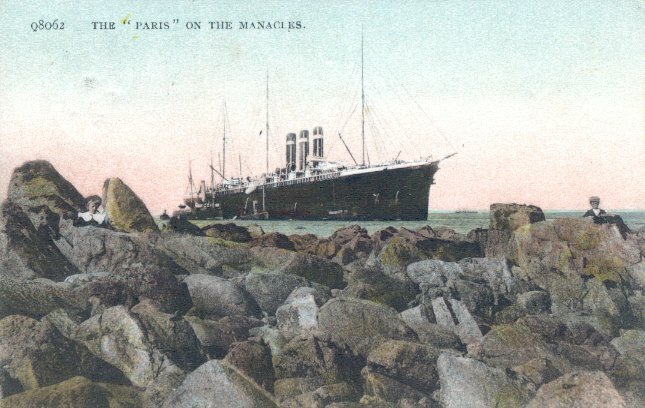 Within a year of her entering service, City of Paris experienced the first of the two notable accidents. 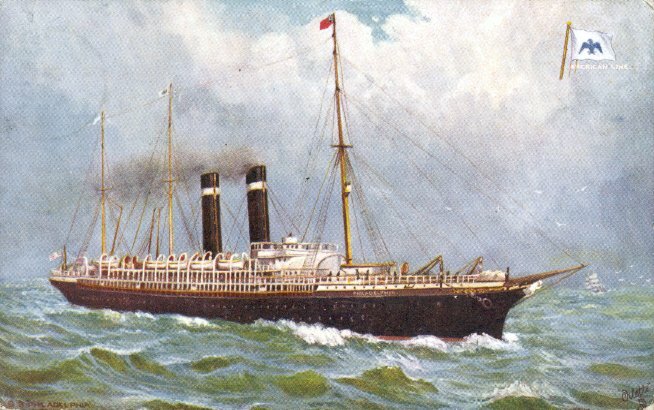 In March 1890, while she was about 200 miles off the Irish coast, eastbound for Liverpool, her starboard propeller shaft broke and the engine disintegrated from running at full speed with no load on it. Engine parts broke through both the hull and the bulkhead adjoining the port engine room. The resulting flood knocked the port engine out of service as well. The ship drifted powerless for two days before being taken in tow to Cork Harbor. The necessary repairs kept her out of commission until May 1891. In 1892, I & I was awarded a United States Mail contract by Congress. The enabling legislation permitted City of New York and City of Paris to be transferred to American registry even though they were built abroad, in exchange for a commitment to build two new express steamers in the United States. 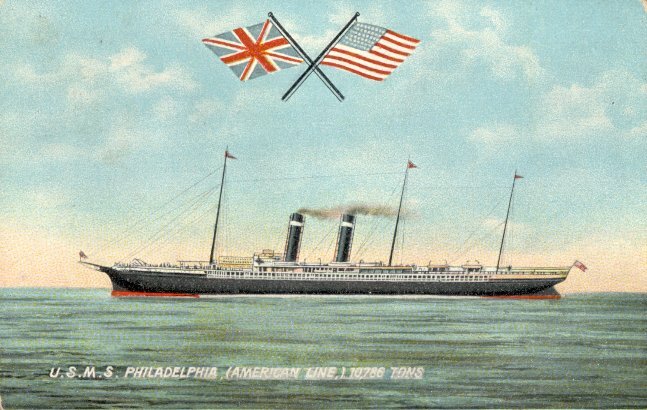 On 22 February 1893, as the ship was leaving on her final Liverpool-New York trip, she was renamed Paris and the line's name was changed from I & I back to the American Line. With these changes, the Inman name and its distinctive "City of" ship names disappeared from the North Atlantic. After this, she underwent a major repair and refitting which kept her out of service until August 1901. She emerged with new quadruple expansion engines, only two funnels and a new name: Philadelphia. She then returned to the New York-Southampton service, where she remained until World War I. 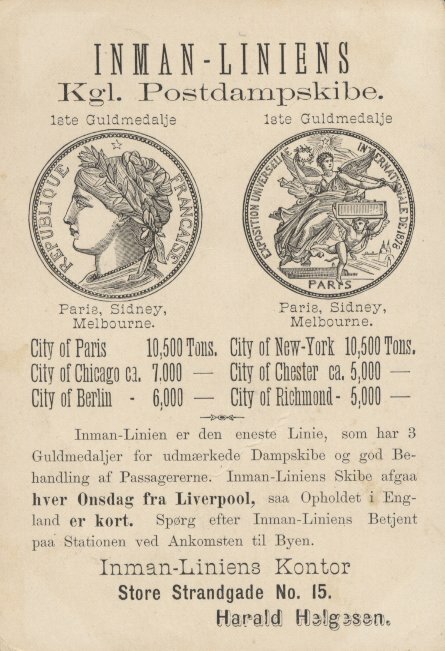 After hostilities broke out in August 1914, her British terminus was changed to Liverpool. 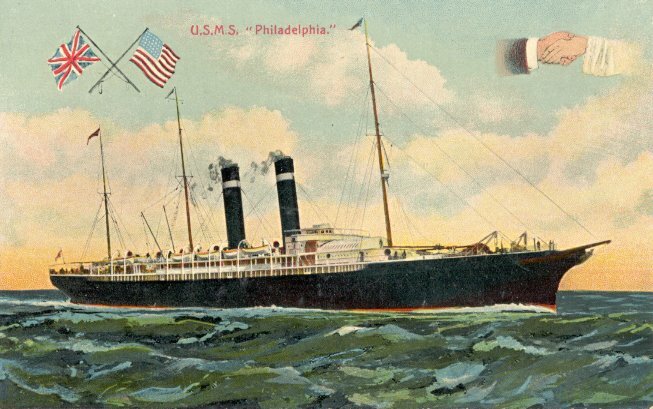 Philadelphia was again called into service as an armed merchant cruiser in 1918, under the name Harrisburg. 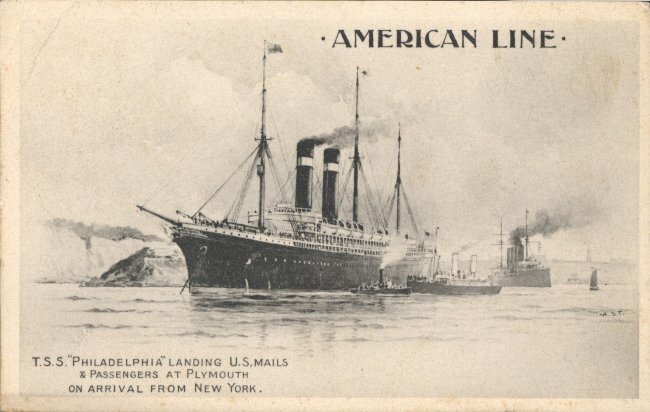 After another refit, she returned to American Line service, again as Philadelphia, in March 1920, making her last American Line sailing, on that route, in October of that year. In 1922, she made one trip from New York to Naples for the New York-Naples Steamship Co., during which her crew mutinied and attempted to sink her. Seized for debt at Naples, she was scrapped in 1923. Sources: Flayhart's The American Line; Kludas' Record Breakers of the North Atlantic; Bonsor's North Atlantic Seaway; Kludas' Great Passenger Ships of the World.